The Winemakers&apos; Celebration returns to picturesque Carmel-by-the-Sea on May 4, 2019. Celebrating the wines and winemakers of Monterey County’s world class growing region, the event will display over 100 incredible wines as Dolores Street (between Ocean & 7th) is transformed into an atmosphere reminiscent of a European village street festival. Over 100 wines made from 42 different varietals will be available for sampling. Guests will also have the rare opportunity to ask questions and discuss the wines with the winemakers themselves. There will also be an array of lite-bites prepared by local chefs. Regular tickets are $75 and VIP tickets are $125. To purchase tickets visit the official Monterey County Vintners and Growers Association website or call 831-375-9400. The Winemakers&apos; Celebration takes place on Dolores Street (between Ocean and 7th) in charming Carmel-by-the-Sea from 1pm-4pm. 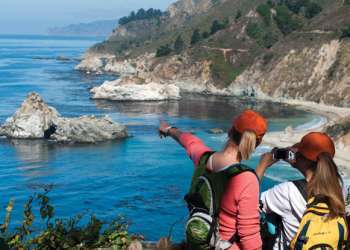 Several hotels are conveniently located in Carmel-by-the-Sea and Carmel, many of which are walking distance to the event.